Like many boys, Tyler Paulson enjoys playing baseball and spending time with his family. 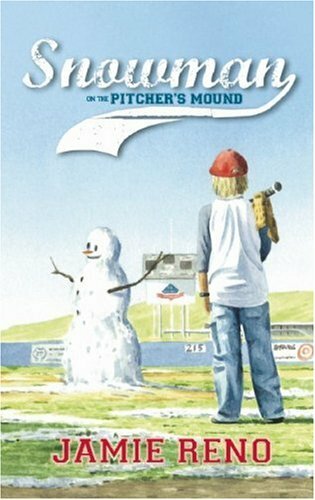 But his peaceful fourth-grade world is turned upside down when he learns his mom has cancer. Already coping with his grandfather’s death, Tyler faces more tough times ahead. With the help and understanding of his family, friends, teammates, and counselors, Tyler finds that comfort and support are always nearby if you know where to look. Young readers will identify with Tyler, from his initial struggles to make sense of his mom’s illness to his search for healing strategies and, ultimately, to his discovery of hope. Jamie Reno is a cancer survivor, patient advocate, author, and one of the nation’s most successful and honored journalists. The longtime San Diego correspondent for Newsweek, Reno has covered a variety of subjects from the war in Iraq to popular culture. He has also written for The New York Times, Rolling Stone, Sports Illustrated, and Entertainment Weekly, among many other publications. He is the recipient of more than seventy Society of Professional Journalist and Press Club awards, including the prestigious Best of Show award. Reno is also the author of Hope Begins in the Dark: 50 Lymphoma Survivors Tell Their Exclusive Life Stories. About Jamie Reno (Author) : Jamie Reno is a published author of children's books. 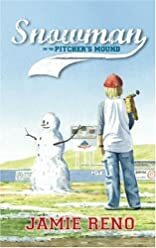 A published credit of Jamie Reno is Snowman on the Pitcher's Mound.